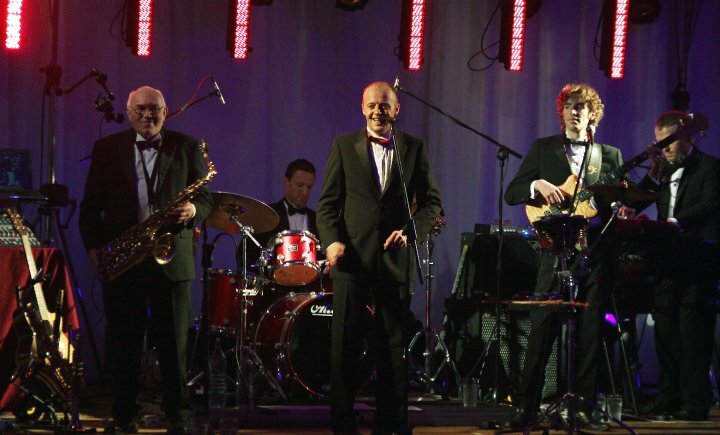 From start to finish this is the most enjoyable part of the entertainment for your guests and Harlequin Wedding Band keep the floor full from beginning to end consistently reading the audience and knowing when to bring out the waltzes etc. We do try not to overload your audience with any one-particular type of music so the evening really is a good balance with lots of variety so as not to exclude individual guests. We promise to play all of your special requests LIVE and if you have music you like that we don’t know, we’ll learn it. Our weddings are well planned in advance in terms of what is happening and when. 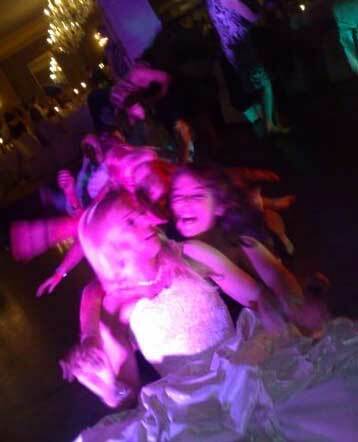 Time flows out of control on your wedding day so of course we move with that. In terms of etiquette, we can ease off or bind to tradition. You’ll choose the components you’d like included in the entertainment and before the day arrives we will have an event plan that you and your guests will enjoy 100%. 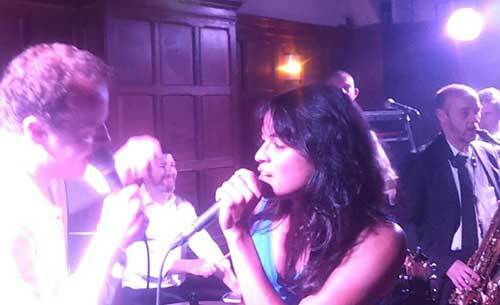 Our wedding band evening entertainment service lasts about 3 hours. THAT’S ABOUT AN HOUR LONGER THAN MOST OTHER BANDS PLAYING WEDDINGS IN IRELAND. Once we start we just can’t stop. From start to finish this is the most enjoyable part of the entertainment for your guests and we keep the floor full from beginning to end consistently reading the audience and knowing when to bring out the waltzes etc. We do try not to overload your audience with any one particular type of music so the evening really is a good balance with lots of musical, dancing and entertainment variety so as not to exclude individual guests. Our pianist is one of the top jazz and classical piano players in the country. Together both he and our front-man Shane perform a high-class, well-planned and personal ceremony recital including gospel, classical and modern songs from their unique repertoire. We innovate with our client helping them select music pieces that are not just beautiful and unique but also represent the personality of their own ceremony. With a wide-reaching music range including classical and love-themed pieces by Andrea Bocelli, Freddie Mercury, Al Green, Simon and Garfunkle, The Beatles and Bruce Springsteen to name but a few this duo will captivate the congregation with a stellar sound and soulful voice. We also perform most wedding ceremony hymns and prayers though this is not our specific speciality. We’re probably a better choice for wedding couples who like some Eucharistic music but prefer a more relaxed, loving ceremony atmosphere. As part of our service in this area we would help our clients with our CEREMONY PLANNING SERVICE ensuring their event runs smoothly and sounds totally professional in every respect. If you would like a reference for this type of service it can be of course arranged. Harlequin can also arrange alternative ceremony music. Our management also can offer the Band of Moonlight Love (traditional music) and the H String Quartet / Trios and one of the top female sopranos in the land. Upon arrival Harlequin can play a really cool Southern / New Orleans Jazz set, or a traditional Irish and ballads possibly in the foyer, for your arrival. The volume of the Jazz portion of the entertainment is nice and low so that your guests can mingle, natter and catch up. 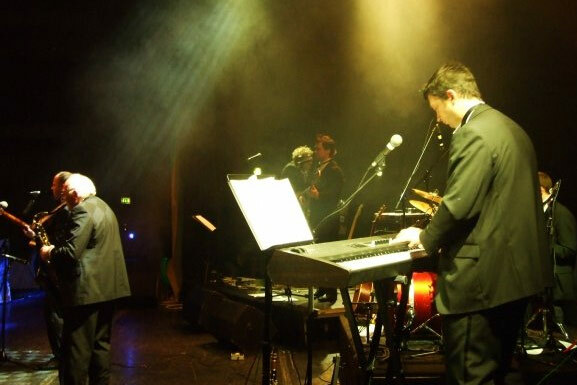 Our Jazzy service includes all of the best hits from Frank Sinatra, Dean Martin, Burt Bacharach, Michael Buble, Harry Connick Junior, Bobby Darin, Nat ‘King’ Cole and Ray Charles. For the Jazz Connoisseurs we can offer a serious jazz service which is fronted by our saxophonist virtuoso Michael Buckley whom is widely regarded as the best Irish saxophonist alive. This set includes music from Charlie Mingus, the Brecker Brothers, Duke Ellington and John Coltrane naming a few to whet your appetite. We can also organise a guitar duo for your wedding guests arrival if you so wish. Samples of our reception music can be found on our LISTEN PAGE. Our pianist Tony can also play background classical / jazz or modern standards piano. This is a perfect choice for a more relaxed background entertainment. The dress code for our recital music is full black-tie unless otherwise directed by our customer. These days we often get requests for something DIFFERENT / ALTERNATIVE in terms of Champagne / Arrivals Reception entertainment. In 2010 we designed something special for these type of events. Our front–man Shane and guitarist Mark have put together a really cool selection of acoustic / jazzy duelling guitars-type recital with songs. This gig would include songs and background music encompassing many MODERN CLASSICS AND ALTERNATIVE ANTHEMS. You might even hear an original song of theirs thrown-in for good measure. Many of our 20 and 30-something wedding couples go for this option which often transpires into a good sing-song in which guests like to accompany the guys for a ditty or two. At 4pm in the afternoon? Now that is different… But we like to GET THE PARTY WARMED UP NICE AND EARLY! Here’s how it works: Our front-man Shane, Guitarist Mark or Pianist Tony meet your guests in the residents bar after the main entertainment has concluded. We’ll plug it in all over again and get stuck in to more party antics. The revelry continues with Shane singing a few more favourite sing-along numbers. Then we invite your guests to join in – which of course they can’t resist. Shane claims to have purchased every commercial record (that a musician can use) in his 20-year long career as a wedding entertainer. He is one of the worst wedding DJ’s in Ireland (his own words) and yet always puts on a great and very fun-orientated show, maintaining A FULL DANCE FLOOR and entertaining your guests into the small hours. Shane always selects a different entertainment texture when striking up a Wedding DJ-Session to add to the variety and changing mood of an evening. This is a completely versatile service and Shane can keep it lit with a continuing, positive wedding vibe or make the night as Pop-Orientated, Rock-Orientated or Club-Orientated as your personal taste requires. or fill in the short form.